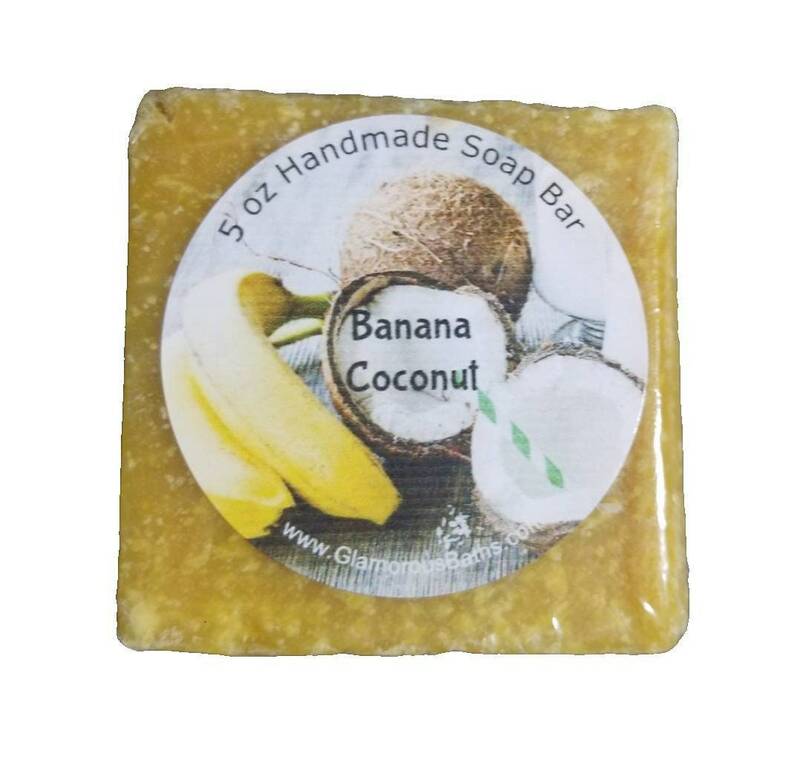 Our Banana Coconut Face and Body Bar is a delightfully fragrant cold process soap. This tropical combination of bananas and coconuts will take your senses to your dream vacation with fruity umbrella drink in hand! 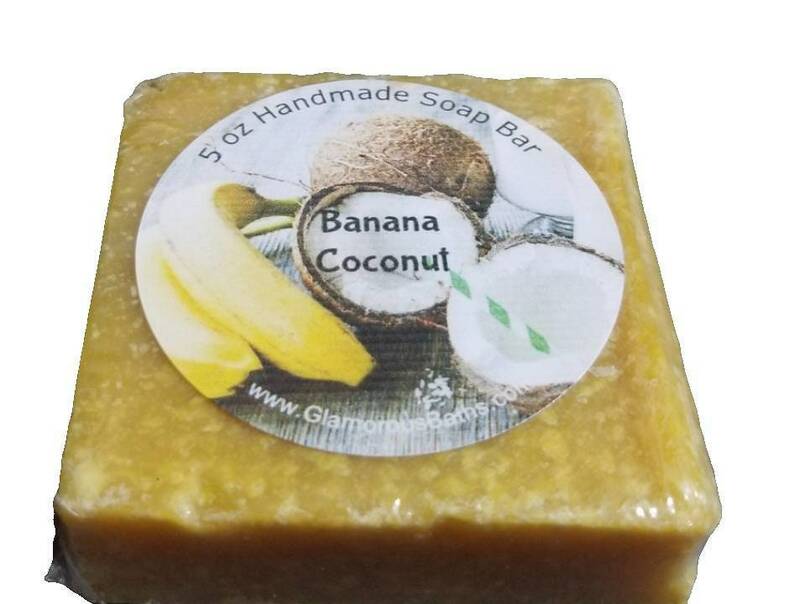 Our Banana Coconut cold process soap bar contains sea salt to naturally exfoliate as you wash. This lathering bath soap is ALWAYS SLS Free and Paraben Free with NO Animal products! An excellent addition to your spa as a natural spa soap. We use the cold process for our soaps and include silky shea butter, olive oil, and hemp oil to heal and hydrate your skin and leave you feeling silky smooth for hours. This is a wonderful soap for dry skin if you normally experience issues with skin hydration. Our soaps, bath bombs, and sugar scrubs are always the perfect bridesmaid gift or any gift for her. Let the woman in your life pamper herself as she enlightens her senses with our delightfully scented products. ** Recommendations for the use of essential oils are from the bottle of essential oil. I am not a medical professional. If you have questions or concerns about the use of essential oils, please contact your healthcare professional.